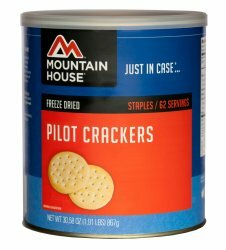 Mountain House Pilot Crackers #10 Can  - $23.49 : Trail Explorers Outpost, Keeping the Adventure Alive! Specially packed in airtight #10 cans, Mountain House freeze-dried foods have the longest proven shelf life available. Period. 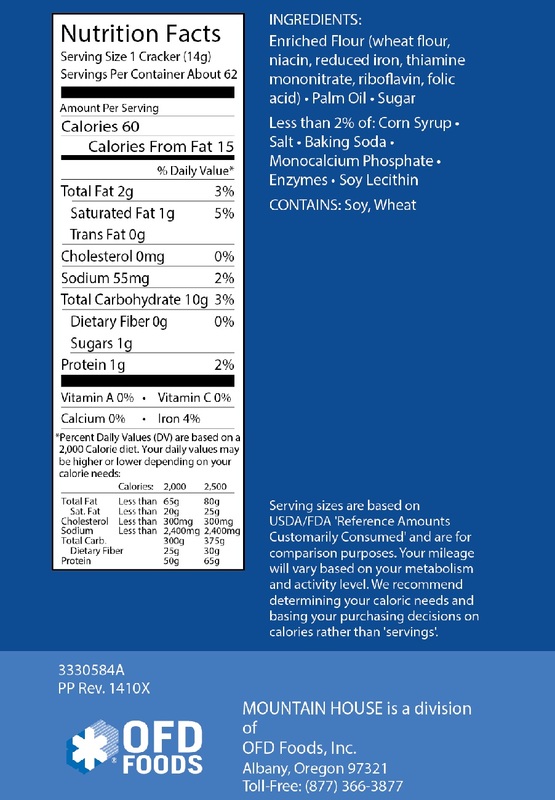 We confidently claim a 25+-year shelf life, because our testing has shown the shelf life exceeds 30 years! We've had independent studies performed on actual 20-, 25- and 30-year-old product stored under real-world conditions, which weren’t always ideal — not on newer product exposed to an accelerated-time environment in a laboratory. In addition, we've personally tasted cans that were 35 years old and still taste great!